Bearing glossy red fruit, phrases like "Canada Choice" or "prepared in Canada," and other subtle hints, the packaging on apple juice gives Canadian consumers the impression they're drinking apples from this country. 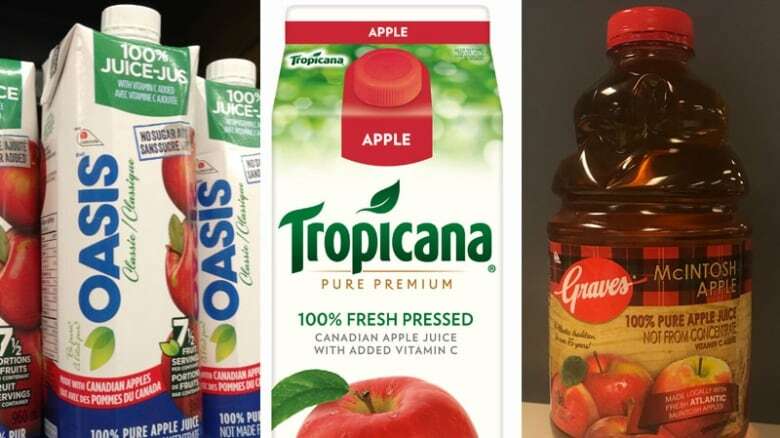 Don't let those labels fool you: Most of the juice found on grocery store shelves is made from cheaper foreign apple concentrate that's been flooding into the Canadian market over the last few decades. Consumers are at least partly in the dark because Canadian juice-makers don't have to list the origins of their ingredients under Canada's food labelling rules — and the government agency that controls labelling has no plans to change that policy in the near future. "I think there would be a lot of people feeling really deceived if they knew the whole story. 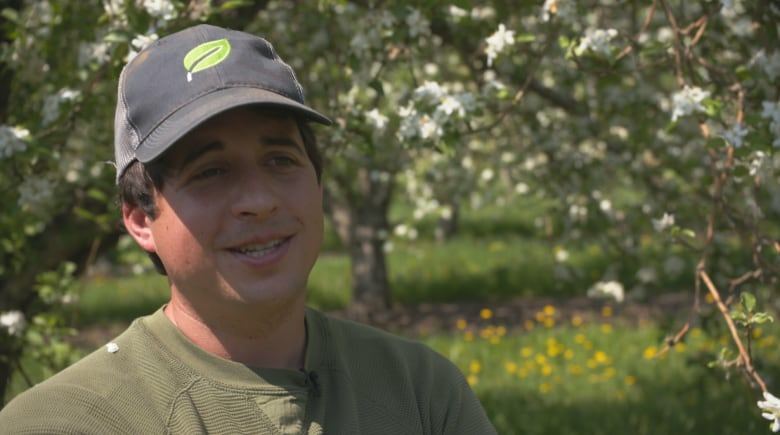 But right now, you can't get the whole story," said Brett Schuyler, co-owner of Schuyler Farms, one of Ontario's largest apple orchards. "You look at the product: How do you know where it's from?" 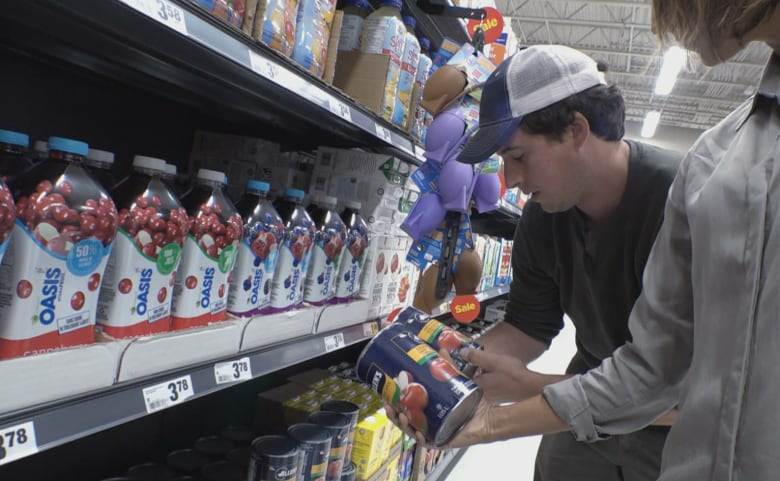 It's a different story south of the border, where since 1987, U.S. Customs has insisted that manufacturers indicate country of origin on their juice labels. So while a Minute Maid juice box packaged and sold in Canada does not include any country information about its ingredients, its American counterpart clearly states "contains apple juice concentrate from the U.S.A., Argentina, Chile, China, and Turkey." It's that kind of transparency Schuyler says is missing from Canadian shelves. "It is a great example, looking at what they've done in the States to just put it on the label. Clear country of origin labelling would be a very good thing to see in Canada," he said. Food lawyer Glenford Jameson, who works with companies to ensure their labels meet Canadian standards, says country of origin requirements on juice is a "voluntary statement" in Canada. "All you need to say is that it's prepared in Canada," he said. "And you can choose to say it's prepared from imported or domestic ingredients — but you don't necessarily have to spell out where it's from." While apple juice labels aren't legally required to list the country of origin, similar to a number of fruit and vegetable products prepared in Canada, the Canadian Food Inspection Agency (CFIA) does require the labels to include company information. The agents we reached told Marketplace that their juices were produced with apple concentrate from China, Poland, Argentina, Chile, New Zealand and the U.S. as well as with "some" apples from Canada. With its massive orchards and cheap labour force, China has become the world's largest producer of apple juice concentrate over the last few decades. While the U.S. does not believe that adding water to a concentrate changes the product substantially, the Canadian government does. In Canada, adding water to apple concentrate is considered "a substantial transformation," the CFIA says, and therefore no country of origin is required because it becomes a "processed product." Marketplace also reached out to Canada's largest apple juice-maker, A. Lassonde Inc., to ask about the source of its apples or concentrate. Orange juice: Is 'premium' juice actually more natural? The Quebec-based Lassonde owns and produces about a dozen juice brands throughout North America, including Oasis, Fairlee, Rougemont and Graves — and the iconic Allen's, with that navy blue can sporting shiny McIntosh apples, a maple leaf and the slogan: "A Canadian Favourite For Over 80 Years." While a customer service agent first said she thought the apples used in Allen's juice were "Canadian," a later email from the company indicated that the apple concentrate used "can come from a variety of places, including North America, South America, Asia and Europe." But those answers don't sit well with Schuyler. "For farmers, it's just frustrating that you can't identify what [or] if this juice was made with Canadian apples." For farmers like him, growing and selling apples for juice is no longer worth the squeeze. Like many Canadian apple farmers Schuyler focuses on cultivating large, perfect eating apples which fetch a higher price than juice or "salvage" apples. "It's just pure economics," he said. Schuyler says he is paid about 25 cents a pound for fresh McIntosh apples for eating, for example, compared to just five cents a pound for undercoloured, small, bruised or misshapen fruit that don't meet the standard of perfection for produce aisles. "This is the problem," said Schuyler. "There's not a lot of interest at the company level about growing Canadian juice." And while the CFIA won't force companies to add country of origin information, the agency "encourages" companies to add those details for consumers, said Aline Dimitri, executive director and deputy chief food safety officer. "What's in everybody's best interest is … for the information to be available," she said. "As long as this information is available, the consumer has the ability to get it — and that is what's important for us." She added: "It is not just about reading the label; it's about reading the label and asking questions. I think that we often forget that the consumer isn't just a passive player in all of this." "The reality is if you're not satisfied with the answer that the industry is giving you — and that's something that I say to all Canadians — CFIA welcomes all Canadians to actually come and talk to us."